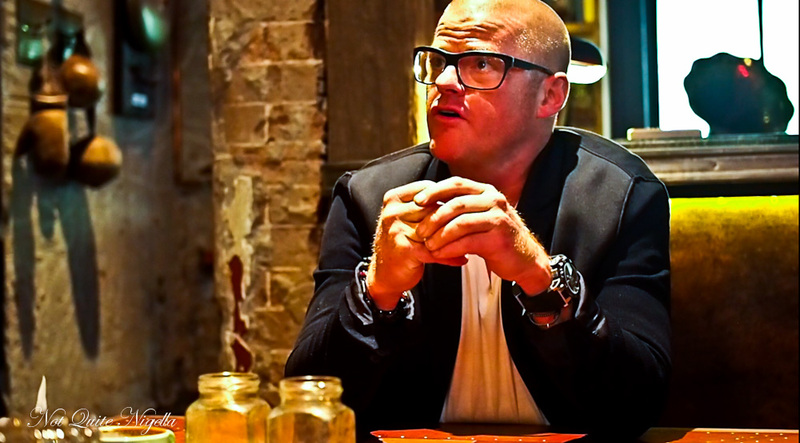 Heston Blumenthal is currenty in Australia for two reasons. 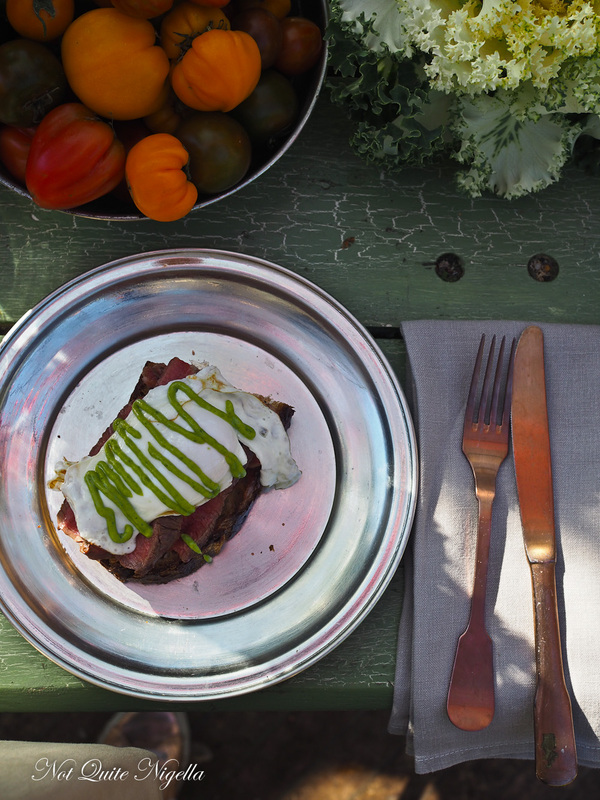 His Melbourne restaurant Dinner is celebrating its first birthday and the second reason is to launch his new barbecue range with Australian company Everdure. And I sat down for a quick chat with the chatty but jetlagged chef! 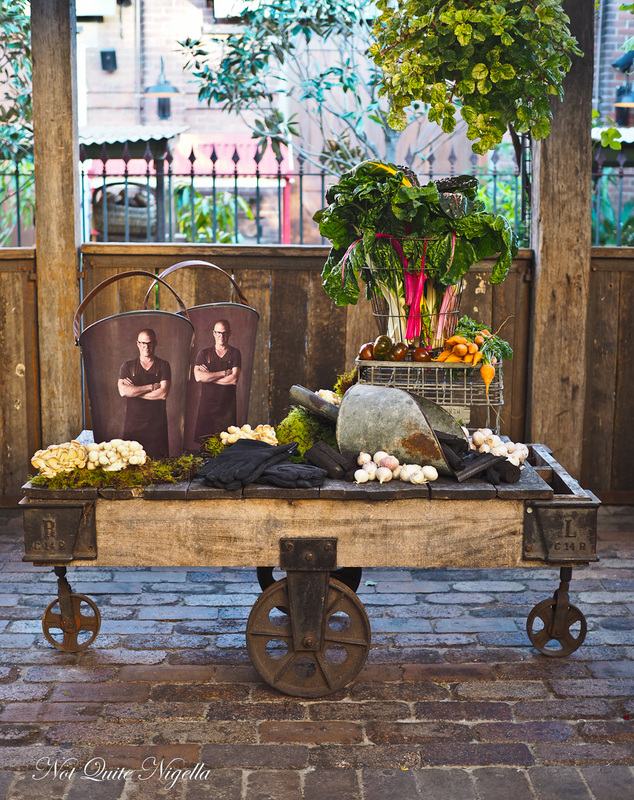 It is a 10 year deal that sees the 3 Michelin starred chef test and help develop a range of barbecues at the Fat Duck restaurant in Bray, England. He realises that barbecuing is a different prospect here than in England. "Barbecuing in the UK is a major, major exercise. 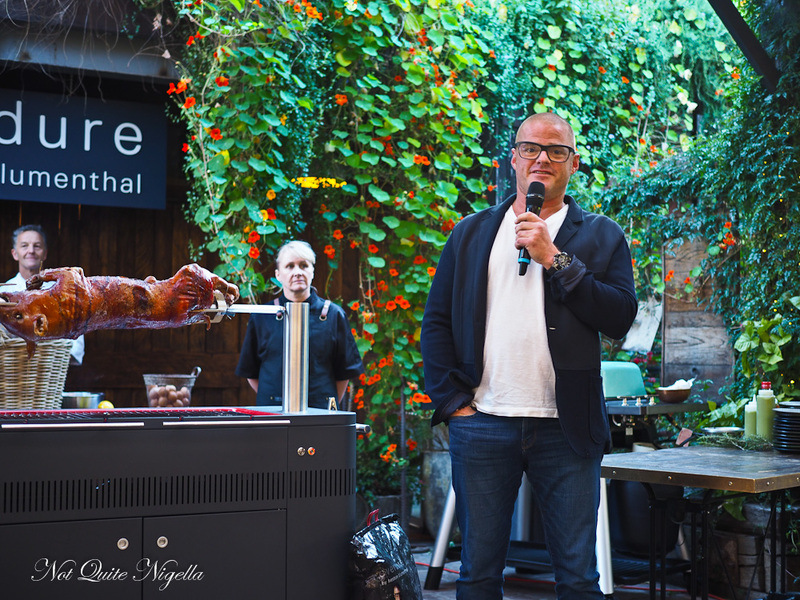 Just to keep the flipping thing going and sometimes being in the situation where the coals are ready but maybe the food isn't," he tells the crowd at the product launch at The Grounds in Alexandria. 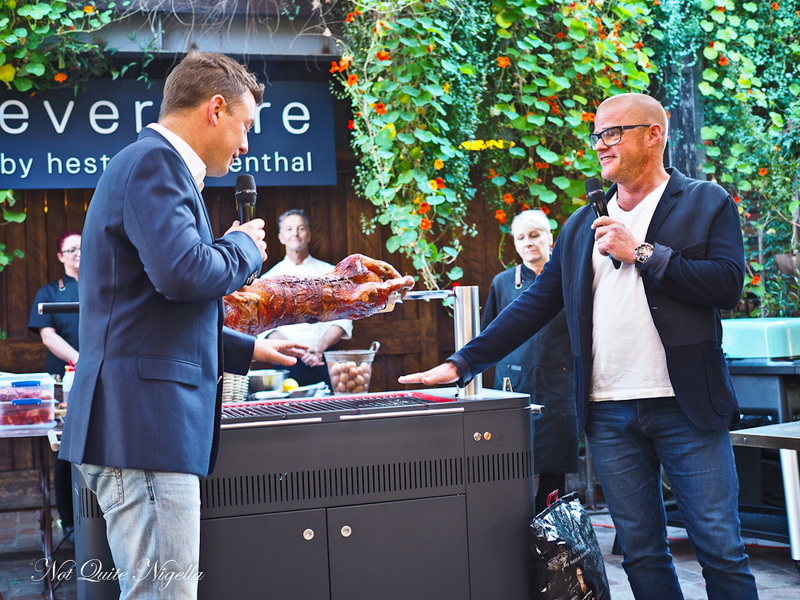 There are three types of charcoal barbecues as part of his new range: Fusion, Hub and Cube, the latter being the portable barbecue. 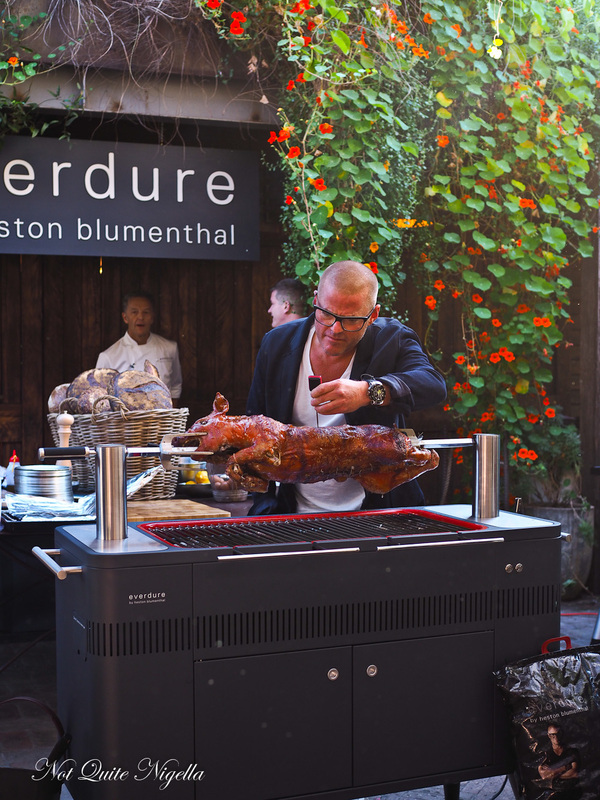 The key to the first two barbecues is the adjustable, built in rotisserie. They also have quick to heat charcoals that have everything ready to barbecue in 10 minutes using an integrated heating element to ignite the charcoal. "No fire lights, no lighter fluid, no newspaper, matches, anything like that," he says. "You get this wonderful smell (from charcoal)." There are also two gas barbecues called Furnace and Force. If you are looking for a smoker with your charcoal barbecue, you are out of luck as this barbecue isn't designed for this although you can smoke wood chips underneath the rotating meat to impart a smokey aroma. The full size Hub model retails at around $1,799, the Fusion $999, Cube $199, Furnace $999 and Force $799 and the barbecue range has been two years in development. "Us blokes, I wouldn't say we're the most complex of creatures and it's incredible how even men who have no interest in cooking whatsoever get the bbq out and all of a sudden it's like their throne. It's the single biggest thing that led us to being homo sapiens and that was discovering how to make fire. Making fire, foraging, hunting and cooking and eating the food that we cooked over the fire is bascially what enabled the brain to increase in size," he says as they hand out bowls of caramelised pineapple topped granola, hot cakes, steak sandwiches and marron. A little later I got to speak with Heston. I realised that he was one of the few famous people that aren't on social media. I envied that somewhat and wondered what life was like without it and why he had avoided it. He explained, "I think that I'm very happy not to be on social media... I've got a very, very, very active brain. It's busy and it's an ADHD (Attention Deficit Hyperactivity Disorder) brain which means there would be a world of pain with me to be on social media. It's hard enough, I get distracted quite easily with certain things. So I'll be at work and I'll be doing whatever and then someone will go 'look at this' and 'Ohhhh!' and then I'll be going onto something else. Also it's something that I could see if you could do it, it could take over people's lives." Earlier during the breakfast I didn't know anyone so I Instagrammed some pics. So what does he do at parties when he doesn't know anyone and doesn't have the safety net of playing with your phone? "I don't really go to that many parties... I haven't been to a party on my own for like god, 20 30 years... Sometimes when you get a sense of walking through a space and you think I've got a car waiting for me or a meeting and sometimes you get a sense, a feeling that 'hmm this might take a while to get through there'. People are very nice, coming up so I shouldn't be saying this but you pretend to be on the telephone. Once and this was in Crown I walked out through the lobby and didn't realise I went like this (phone facing outwards)." And did ADHD make it difficult in school? 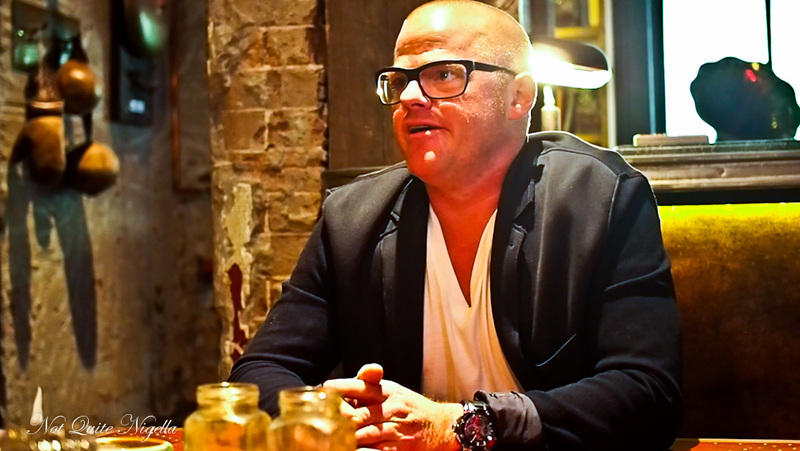 For Heston, "I think mine came on a bit later. I paused then because it can come on later. What I can say now is that there are certain things like typing long emails he says having written load of books but the writing bit if you've got the time you can enjoy it but there's so much stuff that I'm involved in..."
But there is perhaps a future in being a chef for children with ADHD, "Cooking, professional cooking is actually a very good thing for people with ADHD. 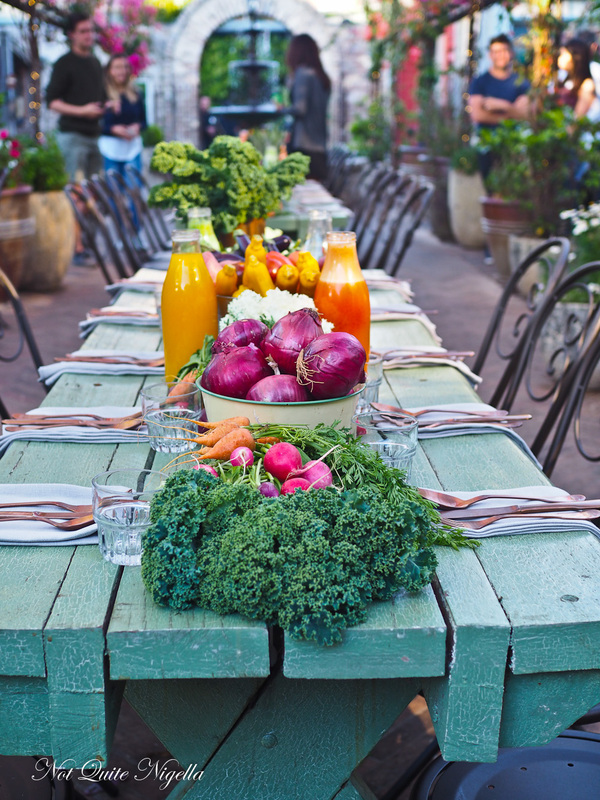 We need to get a framework and I remember on a Monday when the restaurant was closed this was years ago in Bray I'd go out and get 6 to 8 pots from big to small and stack them all up - veg and all the things that I needed into the kitchen. I'd put a pot out with one thing in it and then if there was a blender I'd put the cap of the blender, anything that just reminded me of what I was doing." "The thing with ADHD it's not that you're forgetful, you have this really busy mind so new things come in. For example (picks up a tealight candle) "I'd go to this candle and actually it's finished, I'll go and get another candle, so you're off to find a candle, you can't find it but then there's that book that I didn't read. 'I'll put that upstairs' so you walk upstairs and you realise the lightbulb's gone and it goes on like that but at the same time I wouldn't change it for the world because when it's focused on something that I love and something I'm interested in, I find I can join dots up that maybe other people don't see". A three Michelin star chef is often seen as the pinnacle of the cheffing world. But does he see himself in that position? "No. I actually now think I'm sort of starting. A chef is a part of what I am...because it taps into the work on evolution, gut bacteria, microbiome, virtual reality, mixed reality. 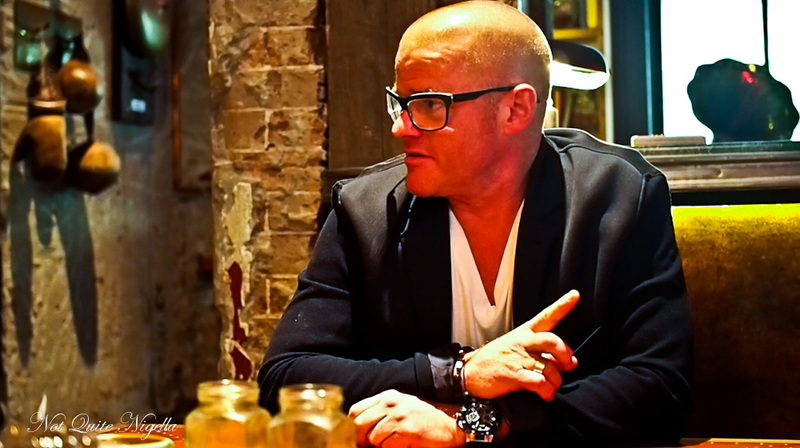 We're looking at the work on the senses, history," says Heston. What does he want the future to hold for him? "I'm doing some work on, I'm a part of, (studying) evolution and human characteristics. And the thing that no-one's really looked at is food in those areas so if you took a look at quantum theory, relativity, string theory etc etc. food wasn't covered in any of those and it's what made us human. "I've got lucky enough to invited to have a coat of arms. (it) took me about 6-7 years to design it because once it's there you can't change it. And they ask you for the motto. 'What's your motto going to be? Is it either going to be in Latin or English?' I said English. Mine was "Question everything". The opposite of that is question nothing and that's not being human. And his most joyful moment? "A coat of arms is right up there. Third Michelin star, OBE but also there's times when we've done work with Doctor Barnardo's and these kids are in the kitchen and you can't leave knives around them but having to get the discipline inside they want to cook that much that it ends up being the class that they never misbehave in. And also things like seeing satisaction on kid's faces. I mean there was a thing we did, a giant ice cream for a couple of thousand people and there's a little girl and we unveiled this giant ice cream cone with a one tonne ice cream on it and a big Flake out the top and then canons were firing out spheres, chocolate spheres with the fruit from classic lollies and it has about seven cameras in the crowd and she was probably two (years old). There's this lovely picture and she's like this (shaking with excitement). She's got electric shock because she's got so much excitment. Things like that are fantastic". 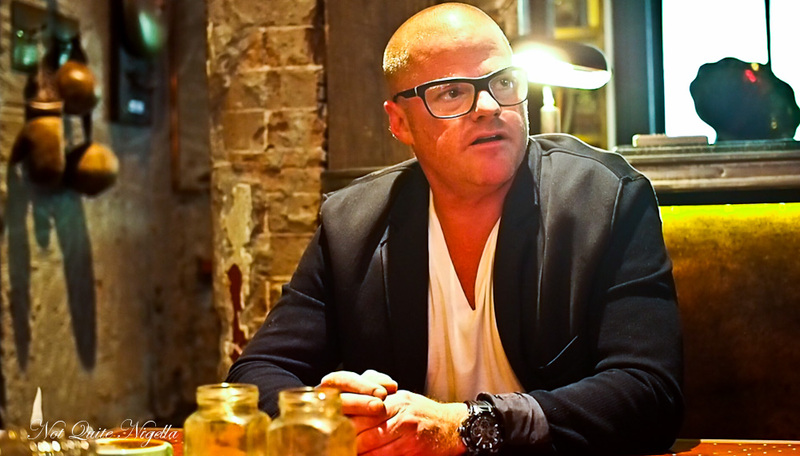 So tell me Dear Reader, what do you think of Heston Blumenthal? And are you on social media and if so do you ever wish you weren't? What would be your motto if you had a coat of arms. I think mine would be "Life is amazing."